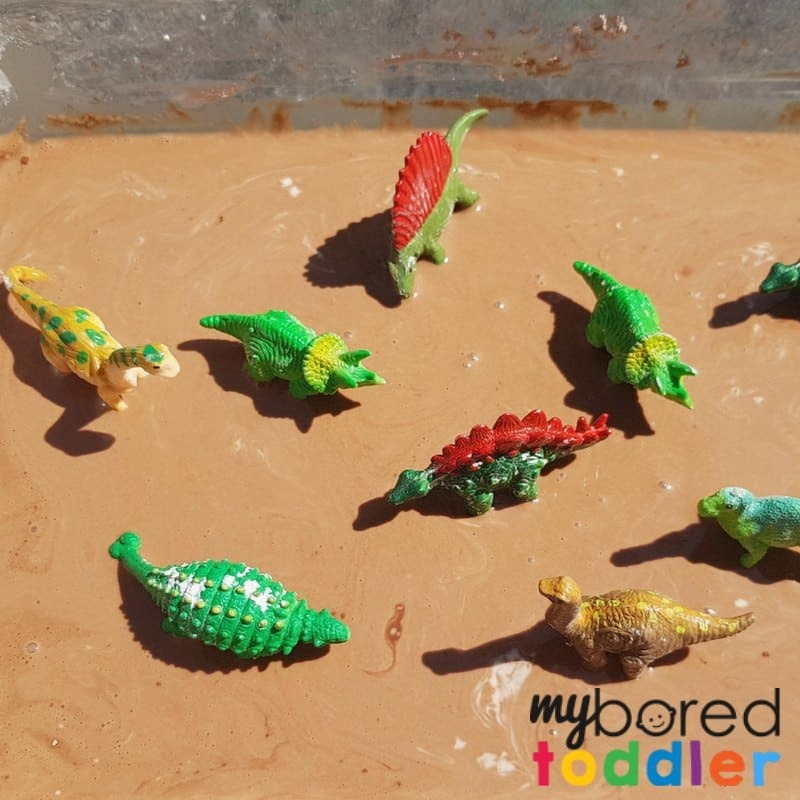 If you’re looking for fun dinosaur activities for your toddler then this taste safe muddy dinosaur sensory bin ticks all the boxes. 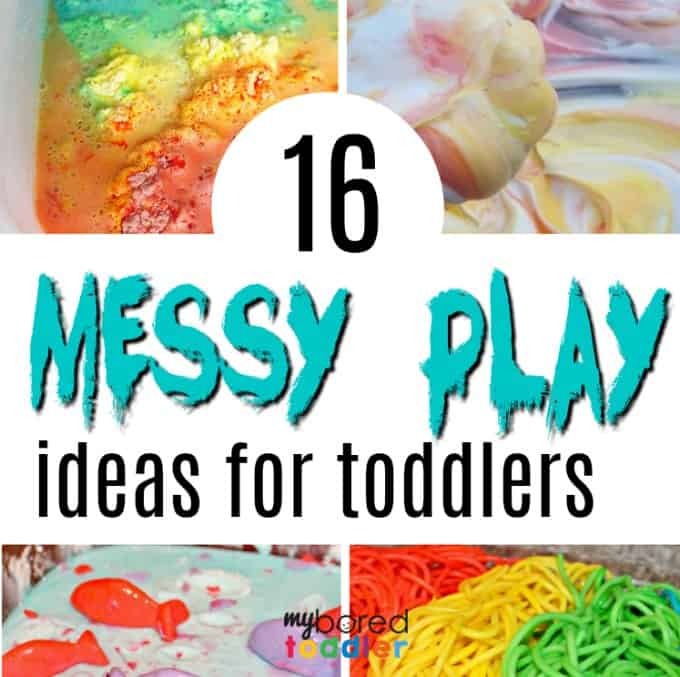 It’s messy play, it’s sensory play and it involves dinosaurs which all kids love! 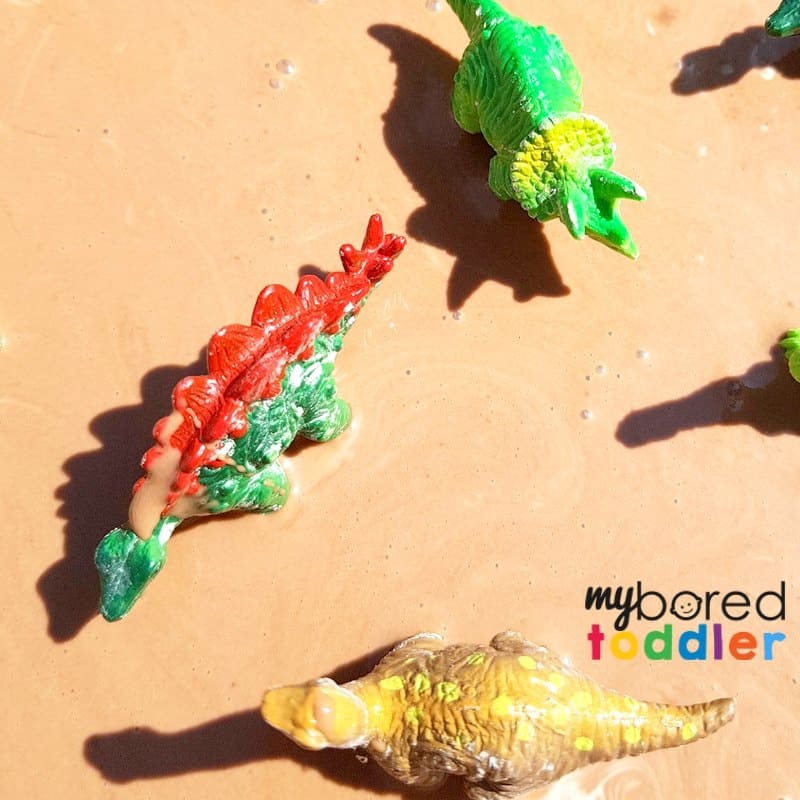 I decided to make this muddy dinosaur sensory bin after our oobleck sensory bin was such a success. 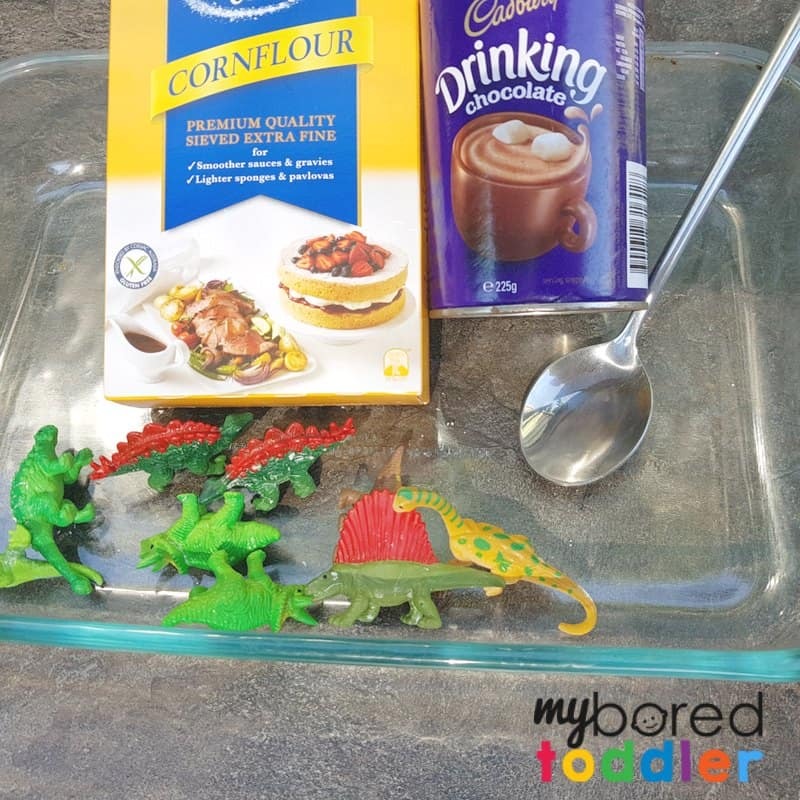 This activity is taste safe – well technically it’s edible but I don’t recommend letting your child chow down on corn flour and cocoa! 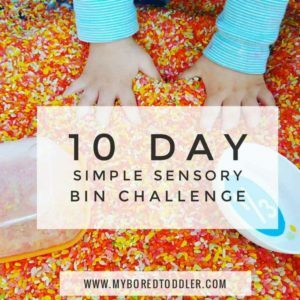 I like taste safe activities for the toddler age group as there is always a high likelihood of them putting in their mouths. Last time I posted an activity like this on Instagram someone commented that it wasn’t ‘clean eating’. Well obviously! 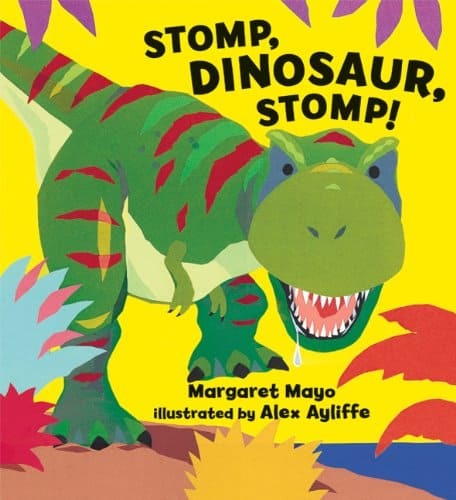 I love matching our activities to books and for this one I read Stomp,Dinosaur, Stomp! It’s perfect for this age group and you don’t need to read all of the pages if it’s a bit long for them. I really like that you can match the page (which describes different dinosaurs) to the dinosaurs you are playing with. You can get Stomp, Dinosaur, Stomp! HERE on Amazon or from your local library. 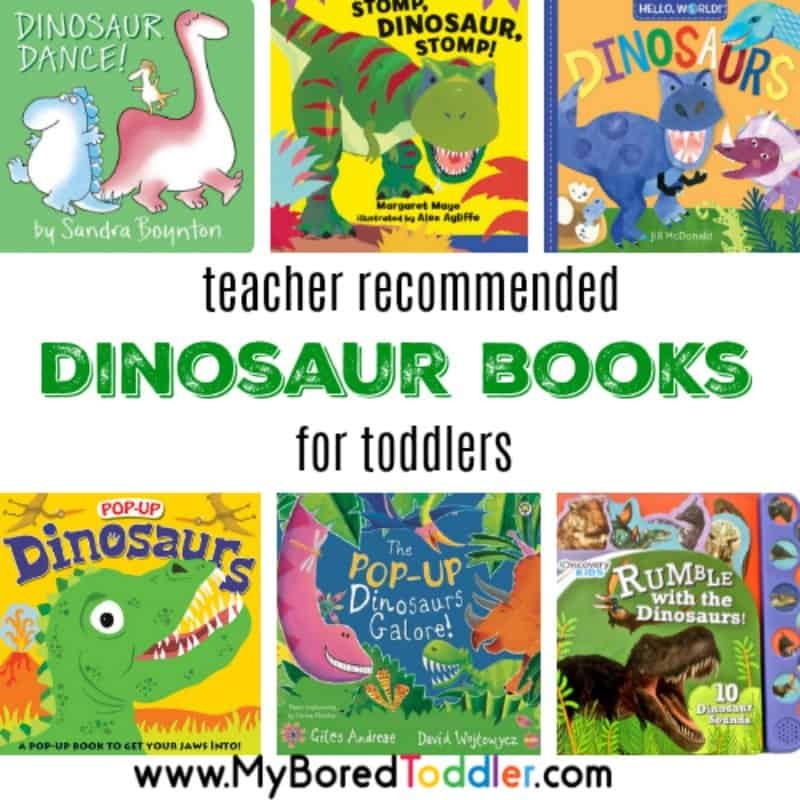 You can find my other favorite toddler dinosaur books HERE. 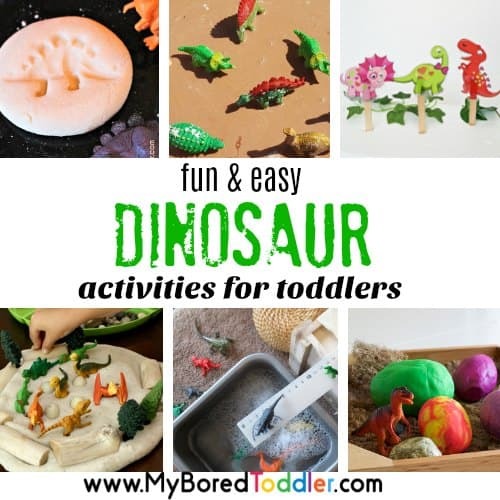 For such a fun toddler activity, there’s not really too much that you need. 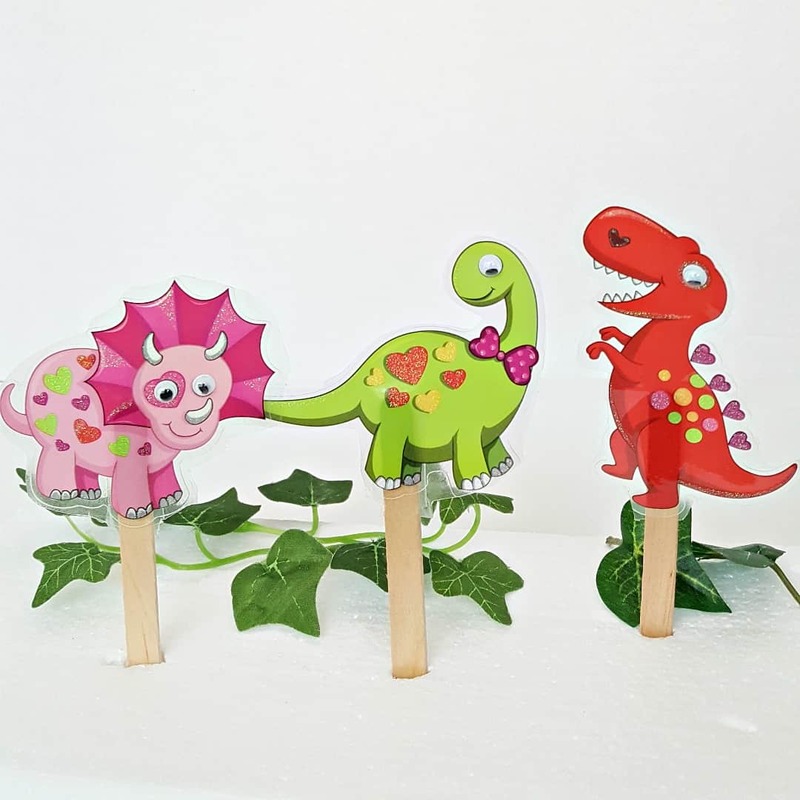 dinosaurs – we love our Safari Ltd Dinosaur Toobs and have used them in lots of our activities. 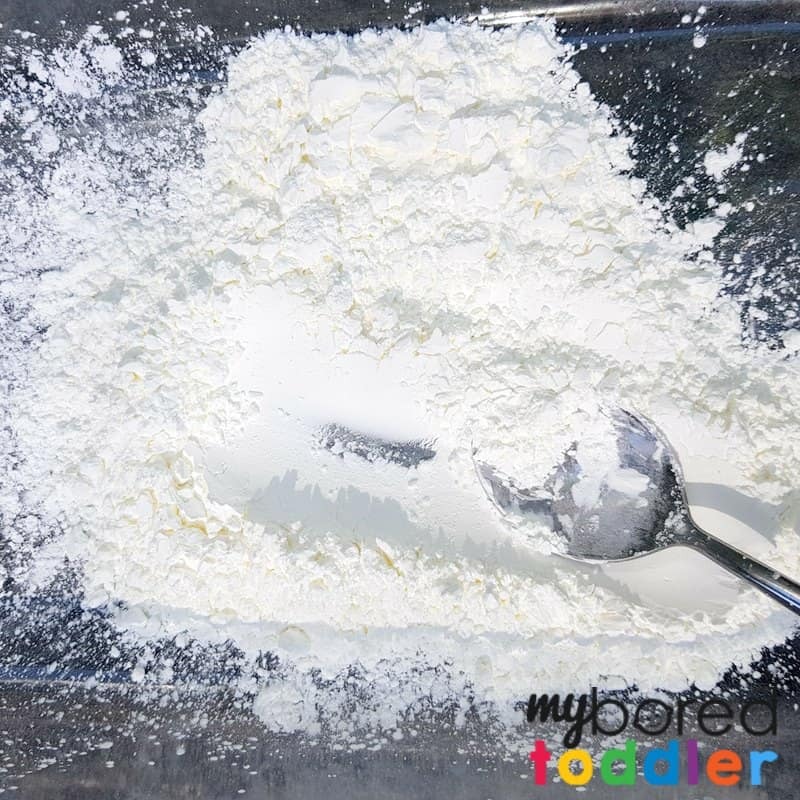 This activity uses the same basic oobleck recipe that we used for this activity. 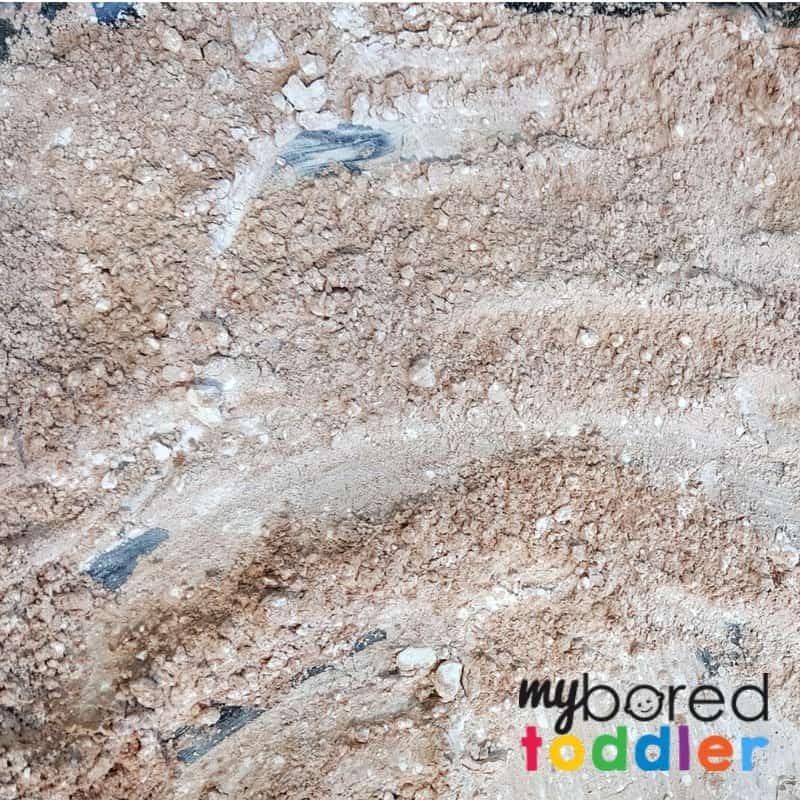 The main change that we made was the addition of the cocoa powder to give it a muddy sensation (it also makes it smell amazing!). 2. 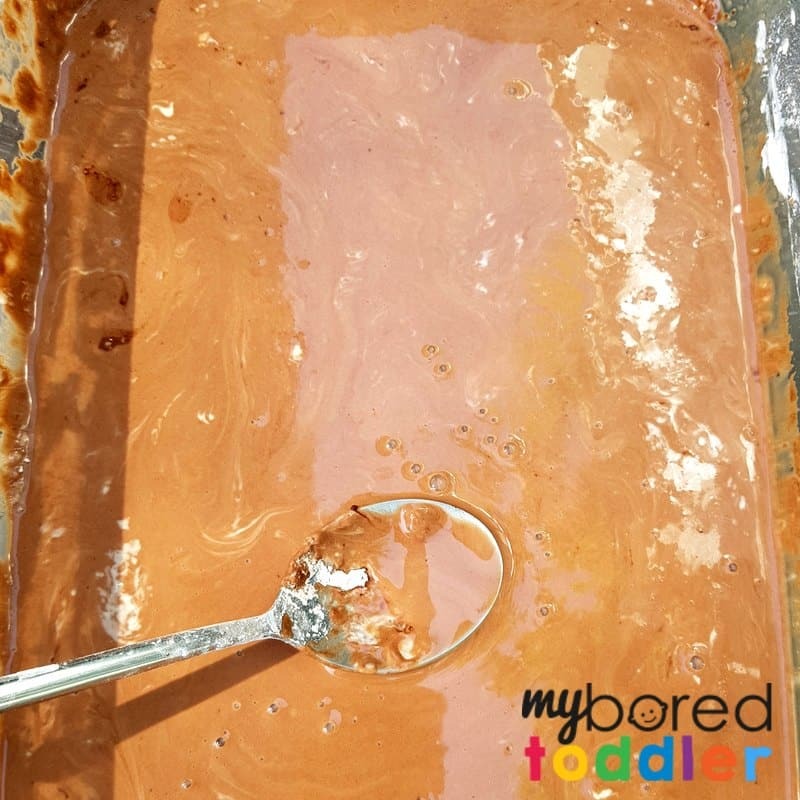 Add in one cup of cocoa powder and mix it together. 3. Add your water. For traditional oobleck I would use 1 cup of water. I used a little bit more as I wanted it runnier than normal. You can play around with the consistency by adding small amounts of water till you get to the texture that you want. Let your kids help with this bit – they’ll love it. If you find it gets too runny, just add some more corn flour. 4. 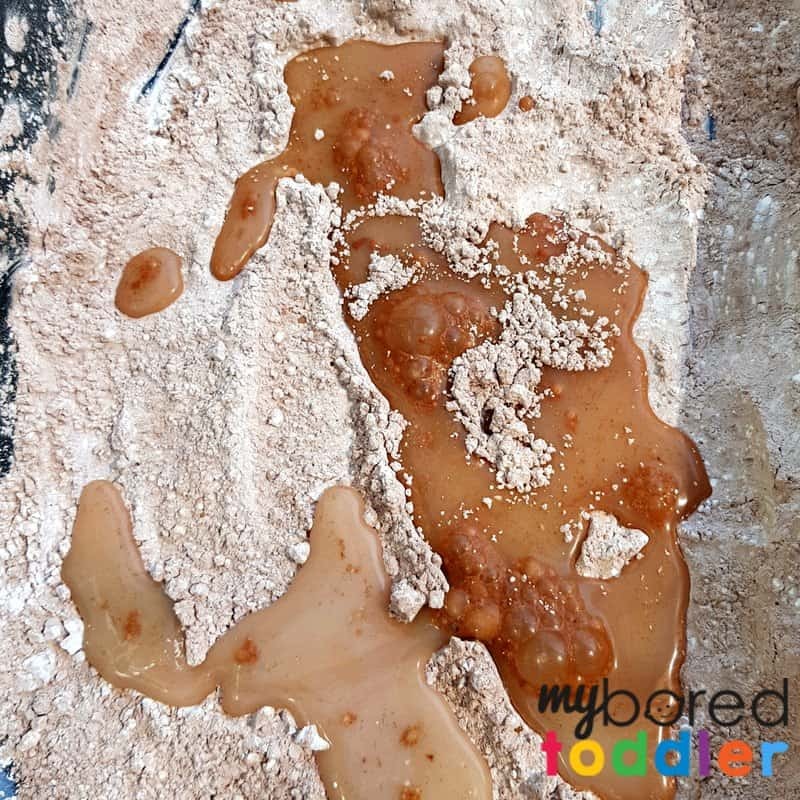 Mix your oobleck until it looks like mud!! 5. Add your Safari Ltd dinosaurs! Let them play! 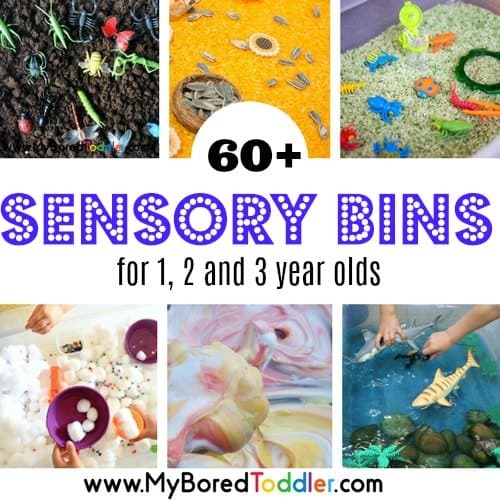 You can easily extend this activity by adding some containers or even other toys to it. My daughter decided that it needed some rocks so we added some to it. We also added some ponies (not sure why!) and that entertained her even longer. You could then get a bucket of water and have a dinosaur washing station too. 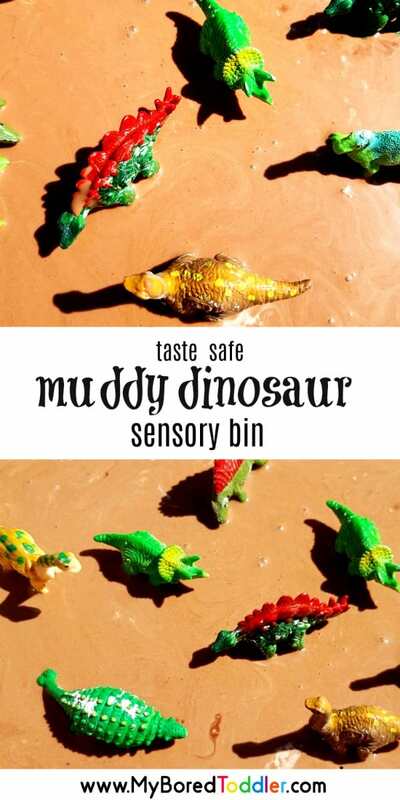 I hope you loved our taste safe muddy dinosaur sensory bin as much as we did! 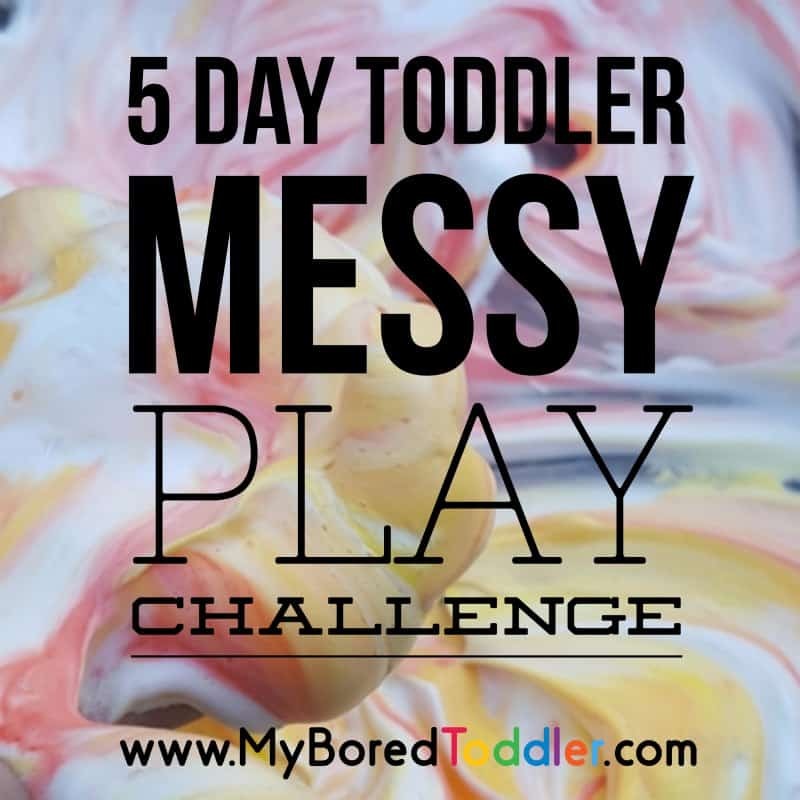 If you like messy play you will love our 5 day FREE Messy Play Challenge. You can sign up to that HERE.